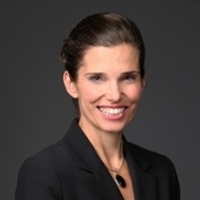 The Johnson Shoyama Centre for the Study of Science and Innovation Policy was pleased to host the inaugural Women in Science Speaker Series, featuring the Honourable Kirsty Duncan, Minister of Science and Sport, on Monday, January 14, 2019. Science, Technology, Engineering and Math (STEM) related disciplines and professions are core to innovation-driven economies and growth. Nevertheless, persistent gender inequalities and biases in training, hiring and promotion processes have limited the benefits of STEM sectors for social prosperity and personal well-being. These factors combined with other social barriers have intensified effects for certain groups of women including Indigenous women, women with disabilities, and those of visible minority communities. This speaker series showcases leading female scientists in the STEM sectors and recognizes their contributions to policy development, national dialogue, economic growth and prosperity. The use of genetically modified organisms in agricultural and food production is a highly debated topic. For developing countries, like Tanzania, using science and genetic engineering to manage diseases in crops is an important factor in ensuring the social and economic development of communities. That being said, public policy within developing countries is not working in favour of science. In his presentation, Malima will draw attention to the special importance of agriculture and its impact on the livelihoods, politics, poverty and environment in Tanzania, and why the current generations of students need more knowledge on the global situation surrounding them. In his ten years as a top of policy maker, Malima was privileged to develop a better understanding of the dynamics of poverty and social transformation of the impact our decisions make on the livelihoods of others. The role of science and technology, or their lack of, in developing societies agriculture and farming practices has become an important part of his effort to bring changes in whatever way he can. Today, as a private citizen, this continues to be an important part of what he hopes to achieve through a united effort of various stakeholders in the global context. November 14, 2017 @ 11:00 - 12:00 p.m. Prairie Room, Diefenbaker Building, University of Saskatchewan campus Video conferenced to Room 210, 2 Research Drive, University of Regina campus Watch the Video. Conservation Agriculture (CA) promotion has been intensified across East and Southern Africa by international development organizations, the private and public sectors and others with the aim of strengthening the food security situation in these regions. CA links three land management principles - minimum soil disturbance, permanent soil cover, and crop rotation, all of which carry implications at local and even national levels. In March 2015, Canadian Foodgrains Bank, through funding support from Global Affairs Canada, began a five-year Scaling Up Conservation Agriculture in East Africa program. This presentation shares preliminary results through farmer stories and experiences and will reflect on promising practices, innovations and challenges toward the achievement of impacting 50,000 smallholder farming households. John Kimathi Mbae, a Kenyan national, works as the Technical Specialist with the Canadian Foodgrains Bank Conservation Agriculture (CA) program. John has over 11 years’ experience in socio-economic and agricultural research, advocacy and policy and project management. He holds a BSc in Animal Production from Egerton University in Kenya and a MA in Planning from the University of Nairobi. He previously worked as a researcher scientist and departmental head of policy and outreach with the Centre for Training and Integrated Research (www.CETRAD.org). He has extensive experience in community capacity building and participatory techniques. He has presented papers on conservation agriculture and dry-land farming in various international conferences. There is mass confusion surrounding the improper everyday uses of the words hemp, marijuana and cannabis, as they are often used interchangeably. Understanding the differences dictates the way we use them, which has been the source of much debate for hundreds of years. Watch the video. HEMP INDUSTRY FORUM: ARE HEMP AND MARIJUANA THE SAME? Saskatchewan is home to a growing industrial hemp industry. As the date for legalization of marijuana approaches, the hemp industry is raising concerns about what this will mean for them. This forum will provide an overview of the policy decisions made by government regarding the legalization of marijuana and its impacts on the hemp industry and their products. Discrepancies between hemp, marijuana and cannabis will be clarified with discussion on the background of relevant regulations and the differences between hemp, and recreational and medical marijuana markets and products. Join us as we deconstruct the myths and the realities. Larry Holbrook, Chief Research Officer, Cannimed Therapeutics Inc./Aurora Cannabis Inc.
Garry Meier, President, Hemp Production Services Inc.
May 23, 2018 @ 1:00 - 3:00 p.m. The Centre for the Study of Science and Innovation Policy was founded to bridge the current divide between science and innovation, and related policy and governance considerations. This event is being supported by the Cannabis Research Initiative of Saskatchewan (C.R.I.S. ), an interdisciplinary research team that aims to obtain scientific evidence about the application of cannabinoids and cannabis derivatives to humans and animals for health, disease and disorders. October 16, 2017 @ 1:30 - 3:00 p.m. Prairie Room, Diefenbaker Building, University of Saskatchewan campus Video conferenced to Room 210, 2 Research Drive, University of Regina campus Watch the video. Nuclear projects are controversial, making them difficult to manage because of complex stakeholder concerns. It is not enough for nuclear new build projects to have a robust design and solid business plan - nuclear proponents also need to develop social intelligence to be successful at stakeholder engagement. The nuclear sector’s public outreach method has traditionally relied on a “deficit model” of communication, which, as evidence has shown, is largely ineffective and can even backfire. This presentation synthesized some of the best available social science research, whilst offering practical advice about how nuclear proponents can make the shift toward an “engagement model” for communications and outreach. Kirsty Gogan is Co-Founder and Executive Director of Energy for Humanity (EFH), an NGO working to meet the goal of universal access to clean and cheap energy. Ms. Gogan is an internationally sought-after advisor to Governments, industry, academic networks and non-profit organizations, including at 10 Downing St, the Office of the Deputy Prime Minister, and the Department of Energy and Climate Change. She led the national public consultation into the UK’s nuclear new build programme, created the Low Carbon Alliance between the nuclear, carbon capture and renewables industries and helped found the UK chapter of Women in Nuclear. June 13, 2017 @ 10 a.m. - 12:00 p.m. This presentation mapped the social forces that twist science and explore how they influence the representation of science in laboratory, the research institutions and, finally, in the popular press. While this is not a new phenomenon, it is arguably becoming both more common and more problematic. Indeed, in this era of fake news, predatory journals and alternative facts, it is becoming increasingly difficult to separate good science from bad. This has heightened the need for trusted sources of information, including universities, to play a larger role. Timothy Caulfield conducts interdisciplinary research on topics including stem cells, genetics, research ethics, and the public representations of science and health policy issues. He is a Fellow of the Royal Society of Canada, the Trudeau Foundation and the Canadian Academy of Health Sciences, has published over 300 academic articles and is the recipient of numerous academic awards. Caulfield writes frequently for the popular press and is the author of two recent national bestsellers: The Cure for Everything: Untangling the Twisted Messages about Health, Fitness and Happiness (Penguin 2012) and Is Gwyneth Paltrow Wrong About Everything? : When Celebrity Culture and Science Clash (Penguin 2015). The official launches of the Centre for the Study of Science and Innovation Policy will be happening in Saskatoon and Regina, March 8 and 13, respectively. Please RSVP to js_outreach@uregina.ca by March 1 (Saskatoon launch) and March 6 (Regina launch). Generating, assessing and applying science and innovation in ways beneficial to humanity has never been more challenging for decision-makers in public, private and civil society sectors. Specific disciplines and current governance structures are limited in their capacity to fully address and resolve large-scale or so-called “wicked” problems on their own. This panel, presented by the new Centre for the Study of Science and Innovation Policy (CSIP), will showcase research projects that illuminate the importance of effective collaborative models across disciplines and beyond the academy. Through examination of the policy and governance dimensions of science and innovation, this forum will explore comprehensive evidence-based approaches and opportunities for researchers and their partners to better understand and address complex problems facing society. Date: Wednesday, March 8 2017, 1-4 p.m. Location: Prairie Room, Diefenbaker Building, University of Saskatchewan NOTE: This event will be videoconferenced to an audience in Regina (Room 110.5, 2 Research Drive, University of Regina). Following the symposium, guests are invited to join us in the Diefenbaker Lobby for the CSIP launch and reception. For patients who use medical marijuana, the Access to Cannabis for Medical Purpose Regulations makes standardized cannabis oil products — of defined quality and ratio of the key cannabinoids (THC and CBD) — available from licensed producers. This creates opportunity for optimizing the use of medical marijuana, but the current lack of robust scientific evidence constitutes a critical barrier to its dose optimization for specific indications and/or patient populations. The growing interest to use cannabis oil products for different indications and populations heightens the need for rigorous clinical and scientific investigation. March 8, 2018 @ 1:30 - 3:30 p.m. The Cannabinoids Research Initiative of Saskatchewan (CRIS) is an interdisciplinary research team that aims to obtain scientific evidence about the application of cannabinoids and cannabis derivatives to humans and animals for health, disease and disorders.